A unique and invisible Impregnator. 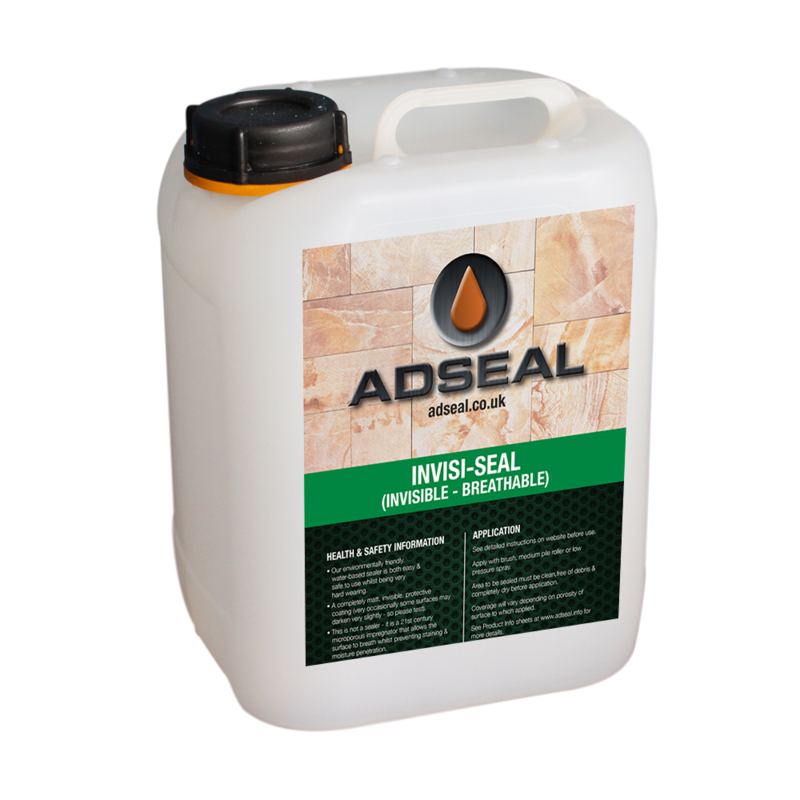 For most porous products - stone, unglazed tiles, terracotta, block paving, printed concrete and masonry, rendering and mineral surfaces- Invisiseal provides a durable, transparent protective barrier against water, oil, grease stains, etc., on both horizontal and vertical surfaces. For most porous products - stone, unglazed tiles, terracotta, block paving printed concrete and masonry, rendering and mineral surfaces- Invisiseal provides a durable, transparent protective barrier against water, oil, grease stains, etc., on both horizontal and vertical surfaces. Developed by our own design team, this fantastic product can be used on most porous surfaces— horizontal or vertical—WITHOUT CHANGING THE COLOUR OR TEXTURE OF THE SURFACE—even after ageing – and covers a huge area. 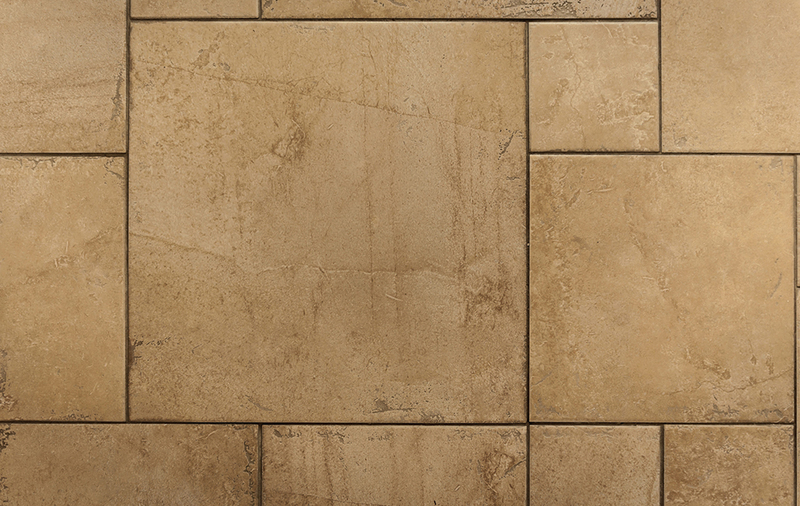 Can be used on most types of paving and as a floor sealer but, in addition, has worked successfully as a waterproofer on vertical surfaces such as retaining walls, gable walls, etc. 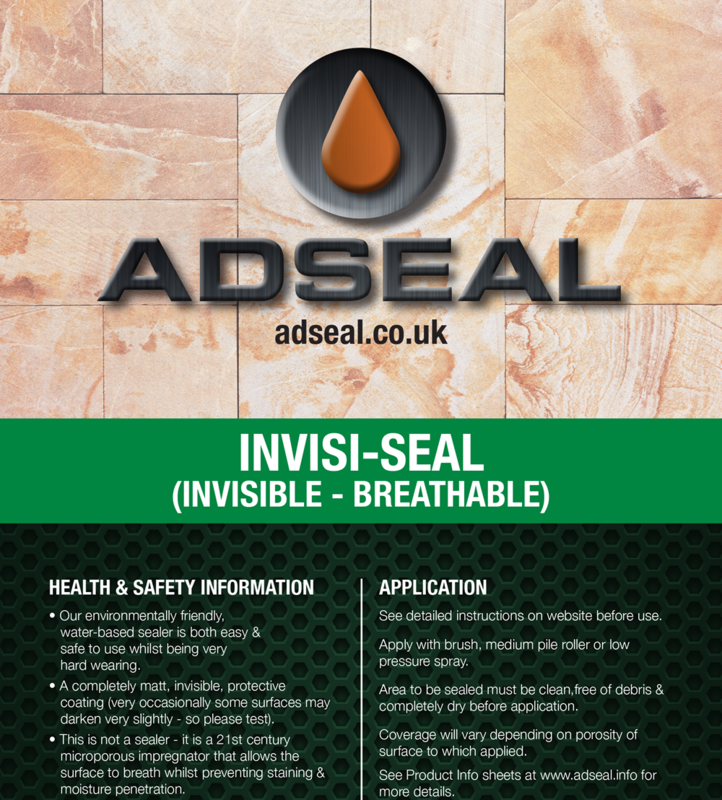 Invisiseal allows moisture ‘out’ whilst preventing oil, grease and dirt stains from penetrating. Invisiseal is not a silicone pore blocker nor is it a traditional sealant/coating – both of which work by blocking the capillaries [pores] in the surface. 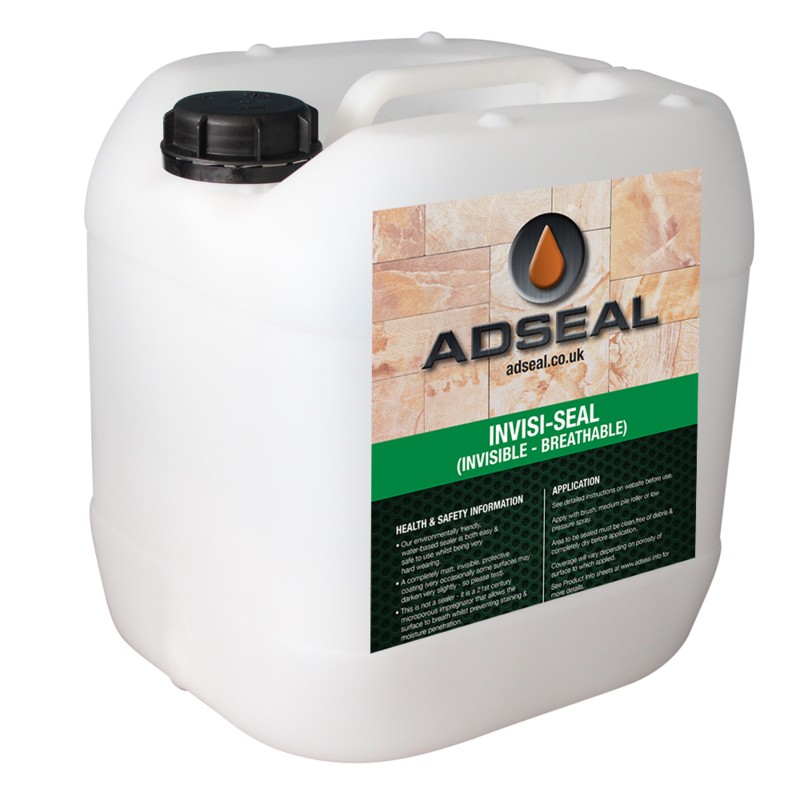 Invisiseal is state of the art and cleverly alters the surface characteristics to prevent water, stains, grease, etc., being drawn into the capillaries [capillary attraction] but keeps these pores wide open allowing any internal moisture to migrate outwards. 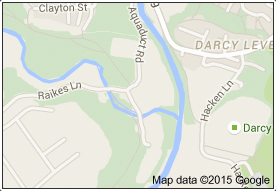 Driveways, car parks, paths, etc. 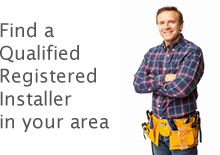 Indoors and lightly trafficked areas, with correct maintenance and depending upon surface type, potentially indefinite. Externally potentially 6 – 10 years, depending upon surface type. Sweep regularly to remove abrasive dirt and grit from surface and mop or hose daily using clean water. A mild detergent can be hand applied to heavy stains. Spills and marks should be wiped up/cleaned off and not allowed to dry on.